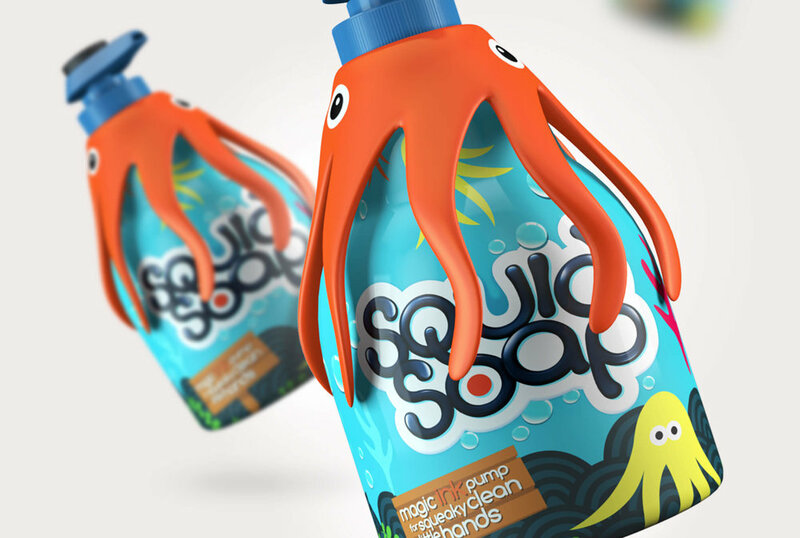 Squid Soap needed a fun and friendly design that would appeal to kids and encourage them to keep their hands squeaky clean. To keep kids interested, we created designs for a SquidSoap family with googly eyes, ink splats, popping colours, bubbles, seaweed and a wooden sign that reads, ‘magic ink pump for squeaky clean little hands’. We wanted the Squid family members to be as characterful as possible so kids would want to pick them up and use them everyday. "Design Happy's redesign enabled us to successfully re-pitch Squidsoap to Tesco and they ordered 30,000 units!"